The United Verde Copper Company was started on Cleopatra Hill in 1883. 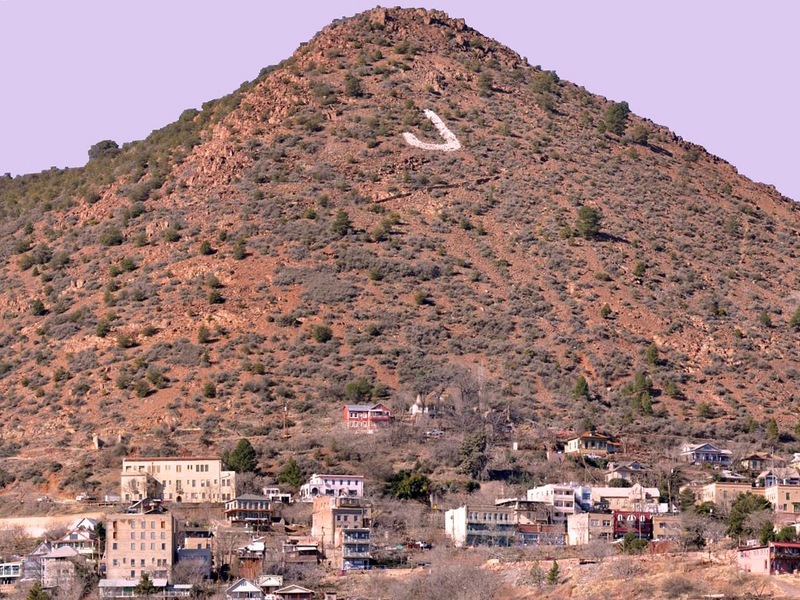 The town of Jerome was incorporated 6 years later. By 1900, Jerome was a bustling mining community, and by 1903, the New York Sun described the town as “the wickedest town in the west”. We decided to see just how wicked, when we made the loop to Prescott. 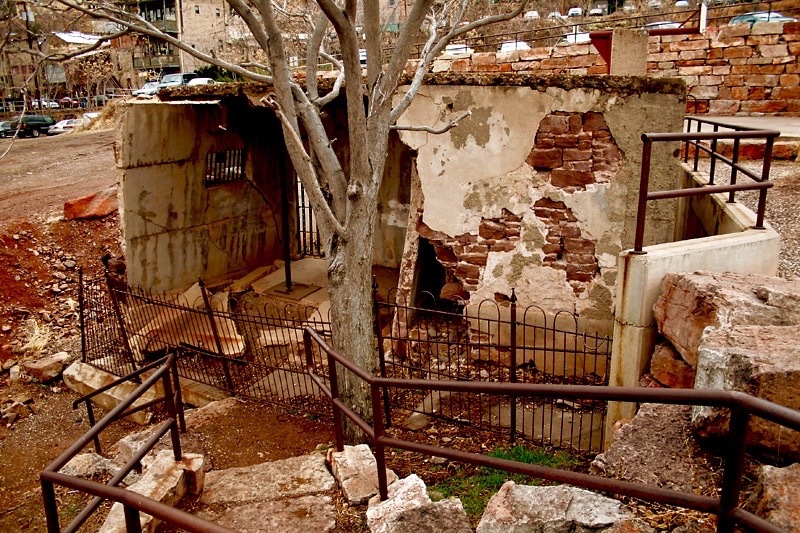 Today, the narrow, winding streets of Jerome contain no obvious red light district. With the closing of the UVCC, the town turned to artists and retail to stay alive. Tourism and outdoor recreation are the main economic drivers. 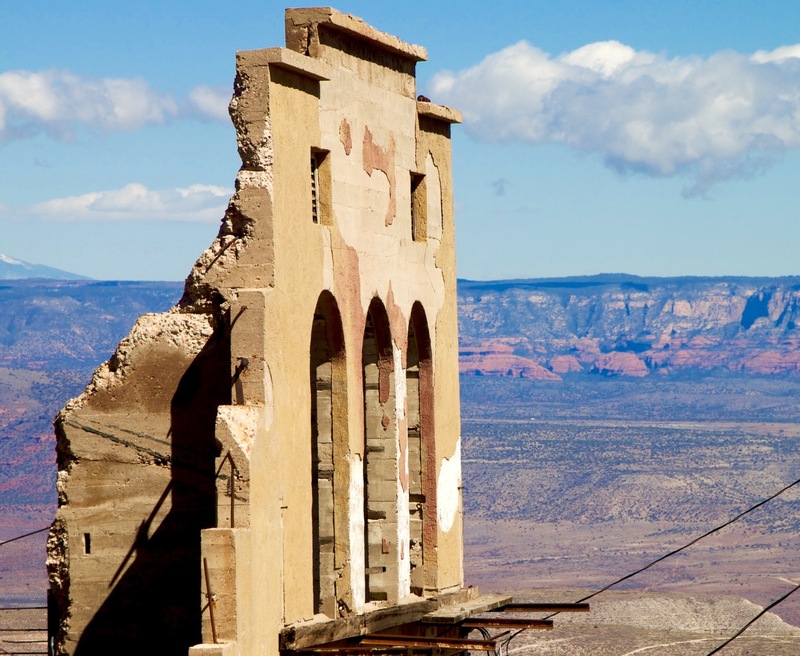 A subsidence problem developed in the 1920’s when 10 buildings were damage beyond repair by 1928. Dozens of buildings were damaged as the earth sank beneath them. The jail “slid” downhill 200 feet. Faulting in the area, as well as blasts from the mines were contributing factors. The smoke from the smelter killed off vegetation, which dramatically increased erosion. The mine was eventually shut down in 1953. Jerome is a neat, little, mountain town. The 2010 census tells us that 444 people call Jerome home, and I can understand why they live here. This entry was posted on Monday, December 11th, 2017 at 7:57 AM	and posted in Uncategorized. You can follow any responses to this entry through the RSS 2.0 feed.